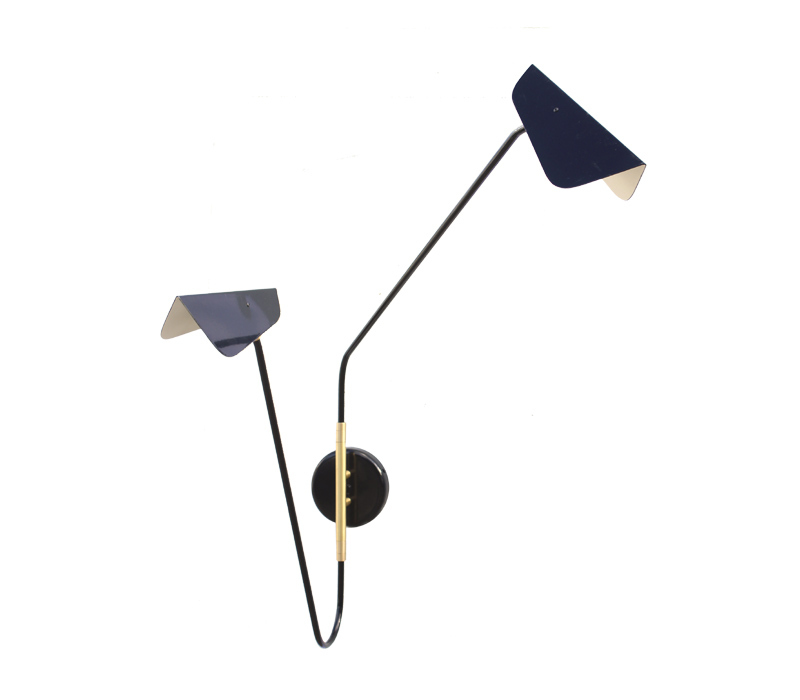 The Birdie Perch wall light is a playful mobile design, celebrating the beauty of poetic modernism and the continuing inspiration of Alexander Calder's sculptures. The wall light can be constantly adjusted, changing the elegant graphic outline of the piece, and the direction of light from the two tilting Birdie spotlights. Mobility, fun and movement are at the heart of the new Birdie lighting collection. 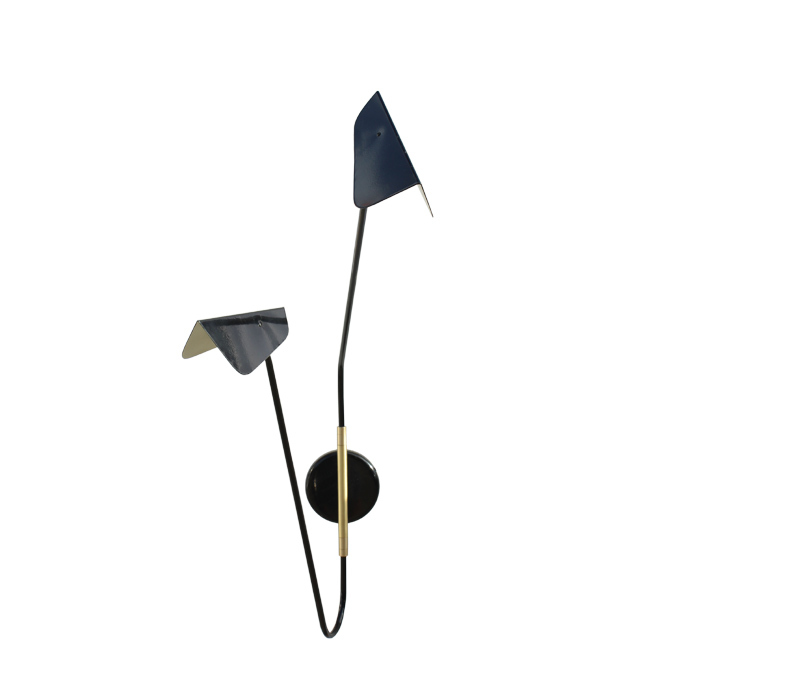 The abstract form of the Birdie shade is constructed from patinated brass or powder coated steel. 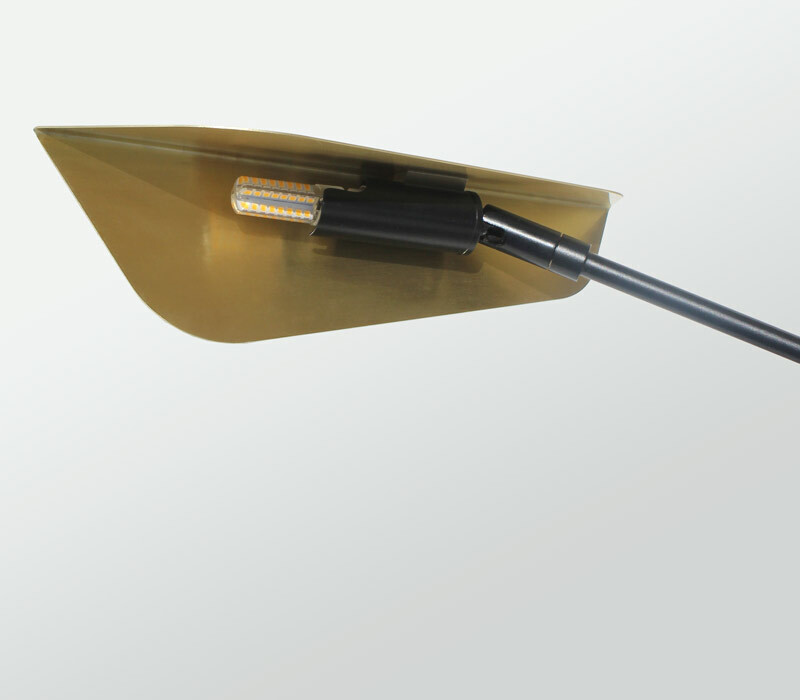 The body is constructed from a shaped solid brass tubular section which holds the LED bulb. Finishes: Available in satin brass, antique brass or bronze, and in black & satin brass, black & antique brass. Custom combinations also available.